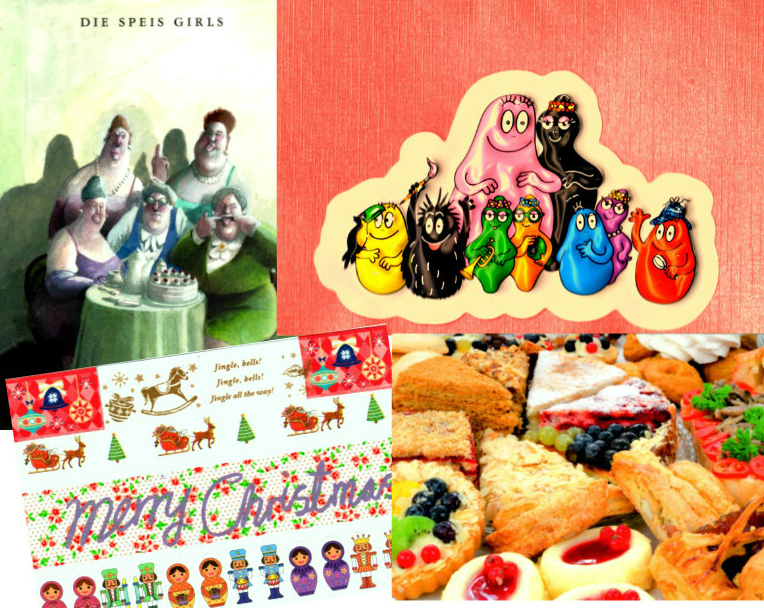 I really love that Barbapapa card at the top right! It came in an envelope along with the card next to it, “Die Speis Girls.” They come from Belgium, from a Postcrosser who wrote a lot compared to most senders (I love that), saying she’s a life-long fan of Barbapapa, and that she sent that one to me because I like toys, and the Speis Girls, because I like food! She was also very complimentary about my silly photos. The sticker-created postcard at bottom left came to me from Hong Kong, where the Postcrosser told me hers is a unique city, and I “must like it,” and I should come if I have time. Been there, enjoyed that, want to spend more time there! She also mentioned there happens to be a movement going on there right now, and to “please support our movement!” I absolutely do! The dessert tray comes from Russia, “on the banks of the Volga River!” Turns out that is the longest river in Europe–at least according to Wikipedia. 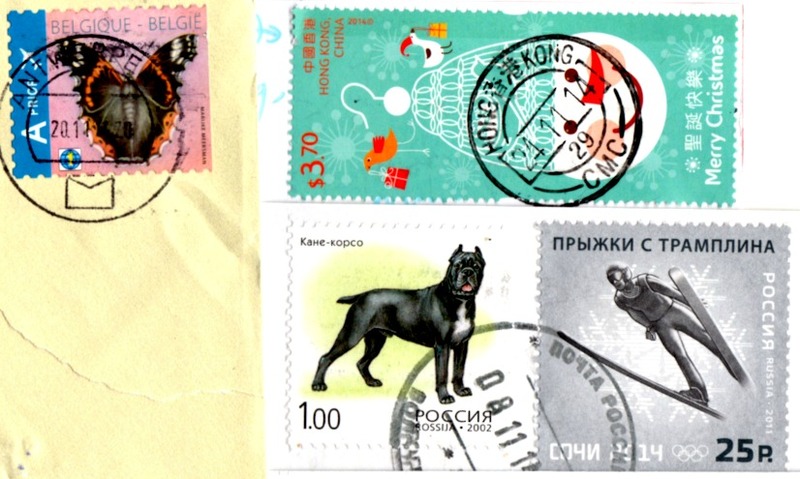 Cool stamps! My favorite is that snow person from HK! The one with the food looks delicious… I haven’t heard of Barbapapa, but it looks funny and it’s great to say!